From the moment your baby is born, they are learning and studying the world around them. At first, toys are totally unnecessary; baby is just focusing on learning to sleep and eat! After those first few weeks, when your baby can see a little better it's fun to start breaking out all the brightly colored toys! It can be a little overwhelming looking for toys for your baby, especially when they can't tell you their interests. 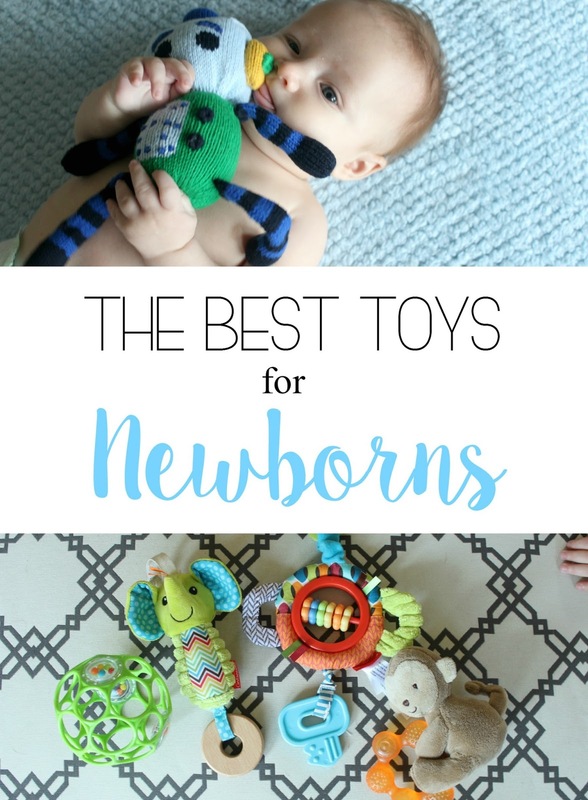 So I'm sharing a few of our favorite toys that we found best for the newborn/infant stage. Is this not the most precious toy you've ever seen?! This hand-knit robot rattle buddy is one of our favorites since receiving it from Finn + Emma! Parker eats away at it and it's easy for him to grip, but even better is its organic and eco safe materials! Finn + Emma's hand-knit toys are with G.O.T.S certified organic cotton yarn and wool stuffing plus a phthalate-free rattle inside. Since this is an item that spends most of its time in Parker's mouth, I rest easy knowing it's been made with safe materials that are harmless for baby and the environment. Finn + Emma make lots of other cute baby toys and accessories, too! They have the most beautiful organic wood rattles and precious onesies and PJ's. I know they will make the sweetest Christmas gifts. Surprisingly, the exersaucer has been one of our go-to playtime activities for both of our babies! I thought these were best for 6 months plus, but my littles have both enjoyed it much more from an earlier age. We use blankets to fill in the extra space in the seat while they're still small and they have a blast! Parker really loves to stand (with help of course), so sometimes we throw a couple of book under his feet to help him kick off. Activity gyms are a play time must-have! Parker loves to watch the mobile and now that he's getting older he tries to grab the toys. You can use links to attach any toy you like to the bars or attach them to the loops in the mat for some tummy-time fun! Speaking of tummy-time, a baby-safe floor mirror is a great way to introduce baby to his reflection! Babies love faces and will really enjoy seeing themselves smiling back! We like to use a Boppy pillow for a little extra support (don't worry--my pediatrician said it still counts as tummy-time! Great for kiddos who don't enjoy being flat on the ground). Our other favorite newborn toys are easy to grip and soft to chew on. The Oball is fun long after they've mastered their hand-eye coordination! I love car seat/stroller toys to keep Parker company during errands and on-the-go, plus I can bring them inside and hook them to his activity gym or exersaucer for twice the fun! You'll spy a little toddler hand there in the corner waiting to pounce. Lucy still loves the baby toys, too! I love helping my kids learn and grow through play time! Especially when it's an item like Finn + Emma's organic, eco safe toys that are completely safe for baby. 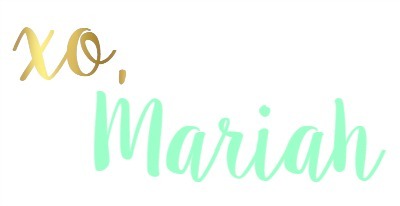 These items have proven to be must-have favorites with both of my kiddos, so hopefully they'll be a fun addition to your play room, too! What a sweet baby! Thanks for letting us visit in your home! These are all good choices! Kane also loved the Kick n Play Piano at that age.